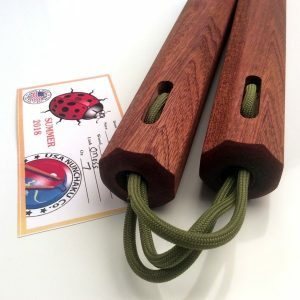 We are the alternative to a mass produced chunky Chinese nunchaku. This is not a large warehouse in china, or a large manufactoring company. 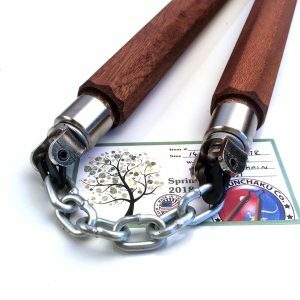 We make handmade Chinese octagon nunchaku in small batches, each featuring a selection of various hardwoods. Every martial artist starts out and after bit of training starts to look for weapons. When this time happened for me, I was less then pleased with the standard issue chuck in bag, UNstrung nunchaku. Human beings alone have the ability to place special value in objects. Personification is one word. Another is anthropomorphism. A rabbits foot, a favorite shirt, a lucky cup, objects take on personality’s of their own. martial artist make connections with their weapons and we provide a weapon worthy of that notion. 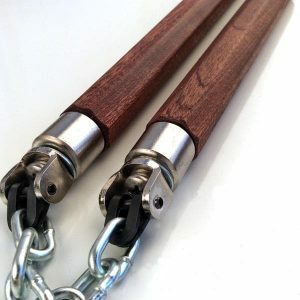 I provide that by making handmade Chinese nunchaku 100% fashioned in the united states. Every nunchaku is one of a kind. The piece you see is the piece you get. All hand cut from natural hardwoods, never stained, never mass produced. 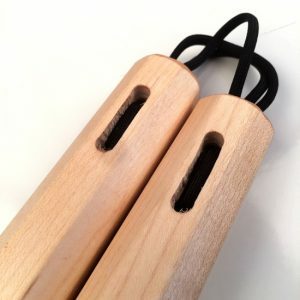 Every person has a story, our nunchaku’s do too. The birth of the weapon from raw wood is recorded for each batch. I fashion them much like the swordsmith has ritual and purpose as the weapon is created. It’s very pairing with a person may some day bring gifts I’m writing the words right now no one could see. 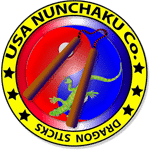 Have a look at our different batches, and select your one of a kind Chinese nunchaku. You will not regret it, but if you must, waste the $9 on the standard issue and we I’ll be happy to pair you with a weapon you will have forever. We made one of a kind items. Once it’s sold, thats it. There are no others exsactly like it. The one you see is the one you buy. 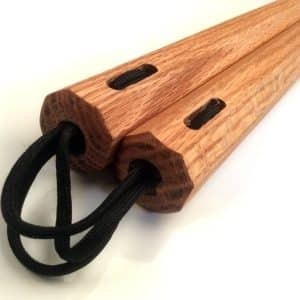 These are professional martial arts training tools. Make sure you know what you are buying. This is not ebay or esty. Because these are one of a kind items, all sales are final and refunds are only issued in the case of a shipping accident or damgage from shipping.